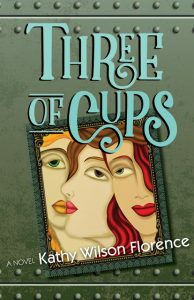 Three of Cups is the story of the unshakable bonds of female friendships involving three women: Mandy, a determined young mother, raises her son alone when husband Adam is drafted with the Army and captured as a prisoner of war; Ginger, a lonely new bride waits for her husband Pete’s return from war; and Rachel, single and at the beginning her career, rallies for a new start when a high-pressured job gets the best of her. Against the backdrop of the Vietnam War, their stories begin in the early 1970s and converge almost thirty years later when a long-kept secret threatens to undo all their lives. 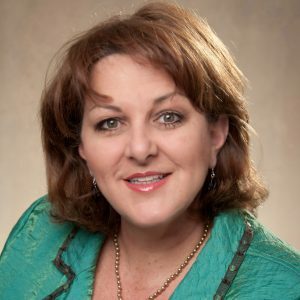 As with her first novel, 2017’s Jaybird’s Song, Kathy utilized historical events within the setting. “The ‘60s and ‘70s are rarely covered in the historical novels I’ve read. The Vietnam War offered a perfect background to my story of these women.” Atlanta repeats as the main locale and is a natural one since Kathy grew up and lived in the city all her adult life. In both novels, she weaves local places into her plot.